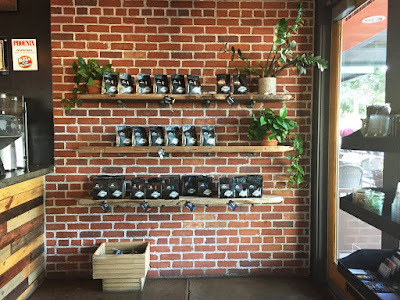 Rare amidst the US coffee scene are coffee roasters that not only have familial roots in coffee-growing regions, but also an active coffee farm passed down through several generations. 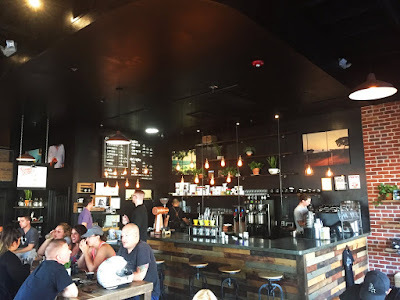 Peixoto Coffee Roasters in Chandler are indeed one of the few specialty coffee operations that can boast having family at both ends of the process. Located downtown on W Boston Street, Peixoto resides in a red adobe building with giant windows. 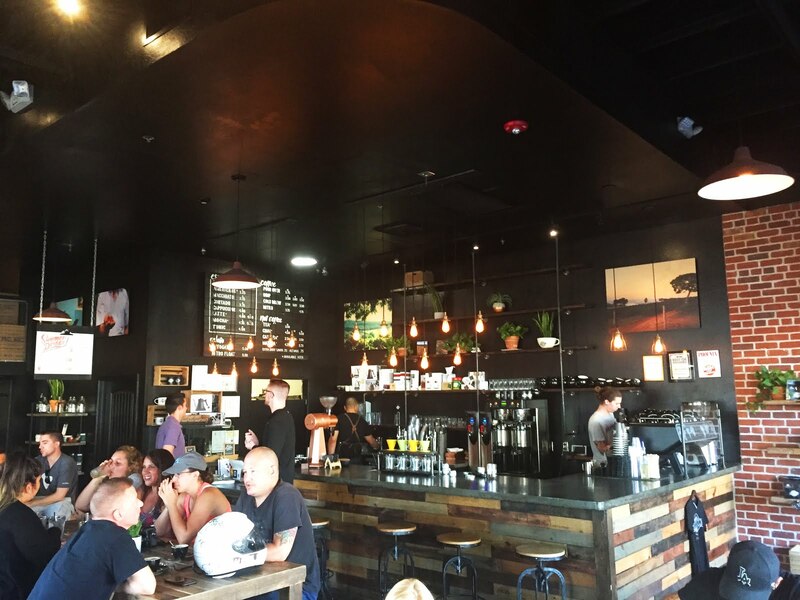 Inside, the black walls offset the bright sun and red brick throughout the voluminous space. As for coffee, they offer beans from their family farm as well as a few other farms sourced to balance their offerings. 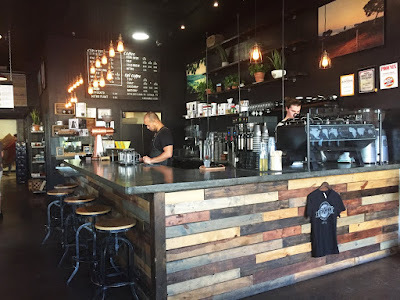 I ordered up an espresso of Aguila, a single origin Brazilian coffee not produced on the Peixoto farm, as well as a pour over of a single origin Ethiopian. The espresso pulled to a medium volume with brown crema, smacked of sherry, chocolate nibs and a touch of quality balsamic, proving really round and bright with lots of subtle punches. The pourover was also met with accolades, throwing down super sweet notes of blueberry, apple, frosted wheat, caramel, snickerdoodles, cream and oats. Needless to say, I was delighted with my experience and would love to now live closer to Chandler. 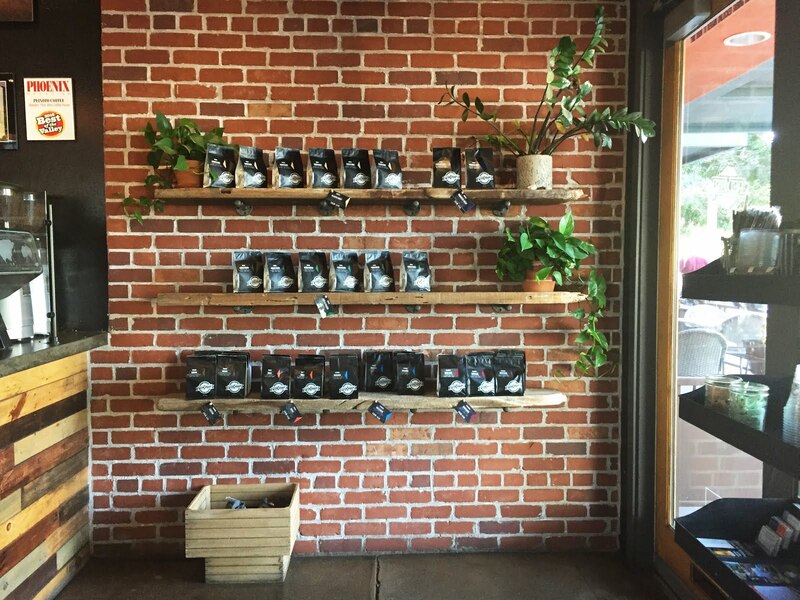 If you happen to be anywhere near Phoenix, do yourself a kindness and definitely check out Peixoto Coffee Roasters.